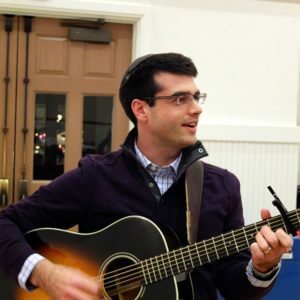 Rabbi Aaron Miller, a rabbi at Washington Hebrew Congregation in DC and Potomac, grew up in Birmingham, Alabama. He graduated from Brandeis University with a degree in Jewish Studies and was ordained at the Hebrew Union College in Cincinnati. He also earned a Masters in Education and Administration from Xavier University and served as Hillel rabbi and adjunct professor at Earlham College. He is passionate about 2239, which reaches thousands of young Jewish professionals and provides opportunities for DC’s 20’s and 30’s to strengthen their connections with each other and with their Jewish identities.